Author: Renée Rust. Series edited by: Rainer Voßen. People living in the Klein Karoo and contiguous areas in the Western Cape, South Africa, were interviewed to record knowledge on numinous water beings living underwater and still ‘seen’ today near rivers and watercourses. The informants accommodate the happenings related to these water creatures in their narratives and describe them as women with fish tails. Descriptions of the physical features and deeds of these half-fish half-human creatures, and the rules of conduct expected when approaching or encountering them, were also recorded. 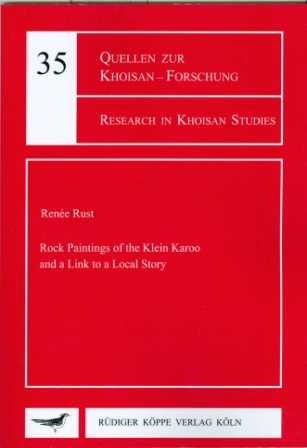 These descriptions and the significance of water beings are related to allegories of the past in the rock art of the region which includes paint­ings with half-fish half-human physiognomies. 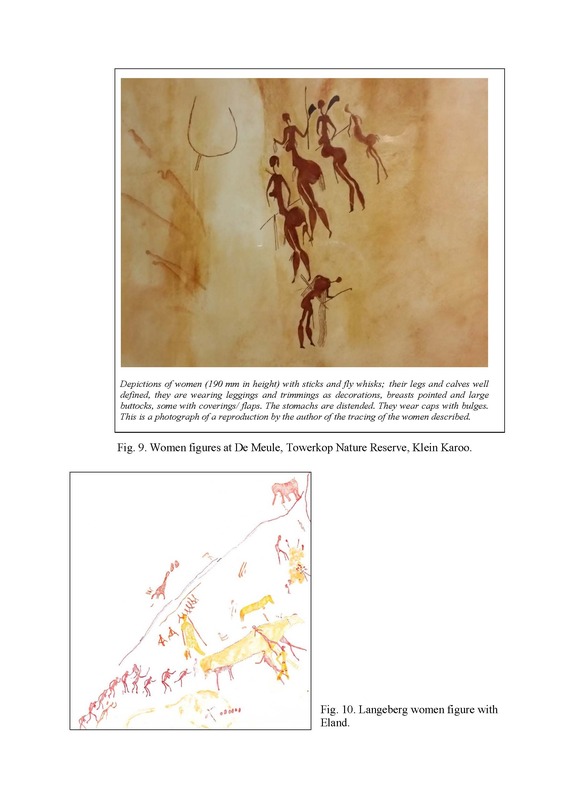 In this study the author argues that femininity is a significant feature of the rock art and ethnog­raphy. For example, amongst San communities in Southern Africa, femininity was the catalyst in associations with water and rain in mythology and ritual. The story of the water maidens and their powers in the Klein Karoo, embodies a local living legend with roots in the distant past. This connects to the half-fish half-humans, and women grouped in recognised ritualised behavioural patterns in the imagery on the rock face, and point to myth, water and femininity as interconnected themes. This interconnection extends to plants and their healing and hallucinogenic properties.